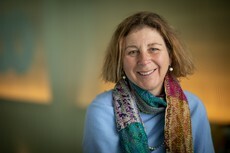 Beth A. Resnick is a Senior Scientist at the Johns Hopkins Bloomberg School of Public Health, Department of Health Policy and Management. She is the Director of the Office of Public Health Practice and Training and the MSPH Program in Health Policy. Her research and practice interests include assessing and improving the public health infrastructure, enhancing knowledge of potential environment and health connections, and developing effective public health policies. Prior to her appointment at Johns Hopkins, Beth Resnick was Director of Environmental Health at the National Association of County and City Health Officials (NACCHO). She provided education, information, research, and technical assistance to the nation’s 3,000 local health departments and facilitated partnerships among local, state, and federal agencies in order to promote and strengthen local environmental public health practice. These are selected publications that highlight my public heath systems and services research emphasizing the need for sufficient public health resources and workforce capacity at the state and local level to protect and improve population health. Leider J., Resnick B, Bishai D, Scutchfield FD. (2018) How Much Do We Spend? Creating Historical Estimates of Public Health Expenditures in the United States at the Federal, State, and Local Levels Annual Review of Public Health Vol. 39, 6.1-6.12. Resnick, B., Zablotsky, J., & Burke, T. (2009). Protecting and Promoting the Nation's Health: The Environmental Public Health Workforce as a Critical Component. Journal of Public Health Management and Practice. November (suppl), S40-S45. Resnick B., Zablotsky J, Janus E, Maggy B, Burke T. (2009) Do Environmental Public Health Organization and Workforce Configurations Matter? An Examination of State and Local Environmental Public Health Structure and Workforce in the Northeast/Mid-Atlantic United States. Journal of Public Health Management and Practice; 15(6):509-17.